Everybody loves roast potatoes. We all have them with our Sunday lunches and people compete over who can eat the most with their Christmas dinner. They are a great staple of British food. However the perfect roast potato can take time and careful precision. 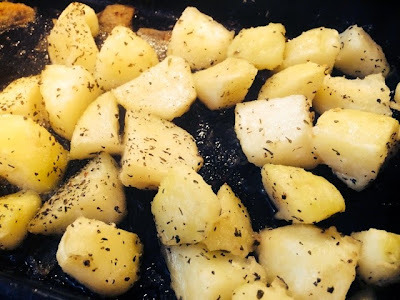 Everyone has their own different way of doing the perfect roast potatoes. Too often this can put people of making them properly and resorting to Aunt Bessie’s, however there’s a really really simple way of doing them on a bit of a quicker time scale: downsize them. The smaller your potato, the less time it takes to cook! Ingenious. 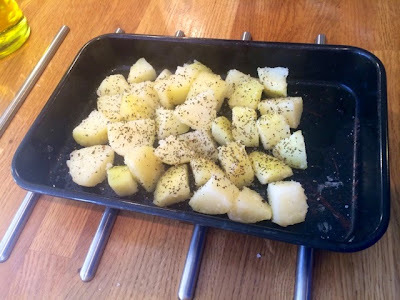 For me, the thing that makes a really great roast potato (besides the perfect balance of soft and fluffy in the middle and crispy and crunchy on the outside) is the seasoning. There’s no point getting the texture right if the whole thing’s going to taste bland. I always use olive oil (posher ingredients like goose fat are reserved for special occasions/Christmas) and salt and pepper, but I like to throw in some herbs and spices as well to match whatever it is I’m serving them with. 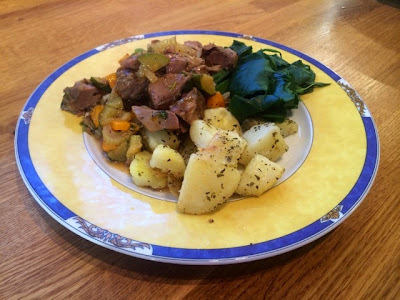 In this instance I’d made a lamb stew so a generous helping of mint went nicely with it. 2. 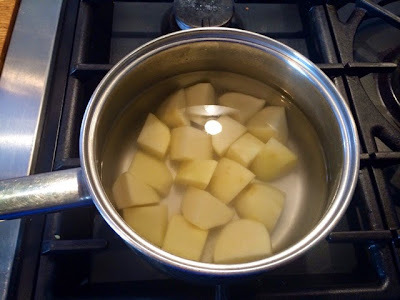 Cover potatoes in water and boil for approx 25 mins or until soft. 3. 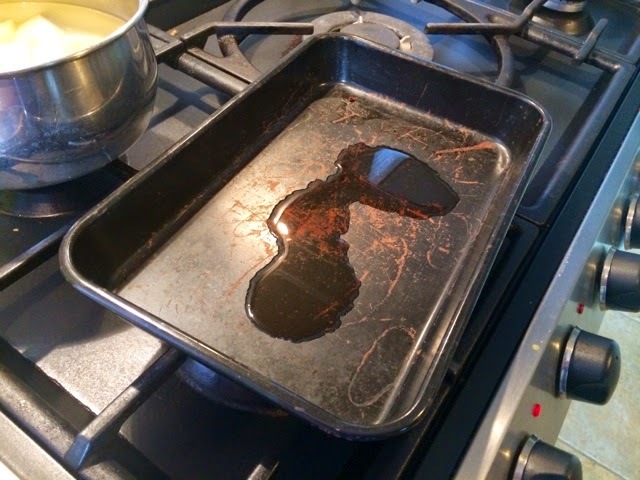 Coat the base of a baking tray in a thin layer of oil and place in the oven whilst it’s heating up. 4. 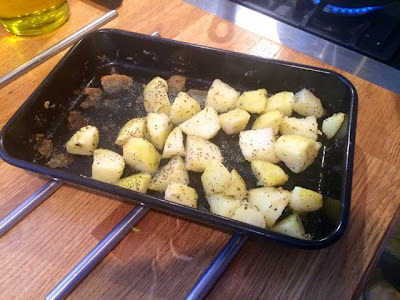 When the potatoes are cooked put them into the try that’s been heating in the oven and toss ensuring they get a nice coating of hot oil. Season generously with salt and pepper and sprinkle over plenty of dried mint and oregano, mixing thoroughly to ensure everything gets coated well. 5. 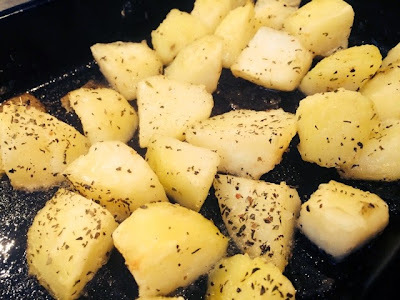 Roast in the oven for about 30 minutes until crispy and serve. Served here with my Leftover Lamb Stew.